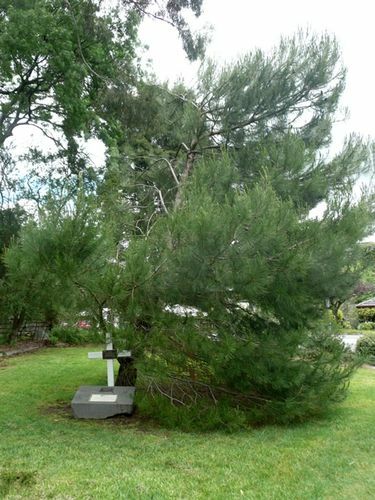 The Pine tree commemorates those who served in the various conflicts in which Australia has been involved. And we in faith and honour keep that peace for which they paid. You are now lying in the soil of a friendly country, therefore rest in peace. Having lost their lives on this land they have become our sons as well."